GOLD, 4 weeks in a row 1175/80 holds! I wrote about 1175/80 support level for several times in my last gold analysis and it seams that buyers will not retreat lower. 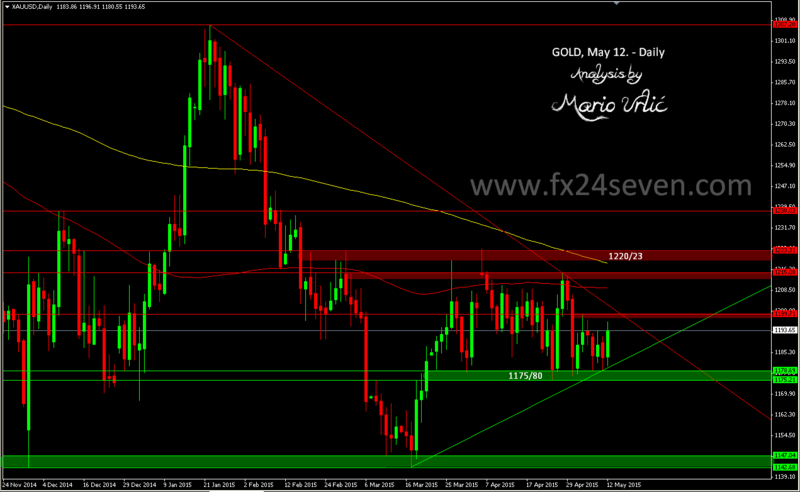 As you can see, they pushed gold today to 1196, where H4/MA200 has stoped the growth for now. It’s not easy level for pass true, 1200 is above waiting for the bulls. This is the 4 th week in a row when gold is trying to recover from this support, but sellers are waiting ready for action each time when gold aproached 1215/20. It’s still uncertain trend in a long term, but if this level hold strong, maybe it’s time for higher levels again. 1215/20 should be the first serious test for the bulls, again. Let’s see could they reach it!? Can u make an analysis on GBPNZD please? Forex example where trying to buy a dip?